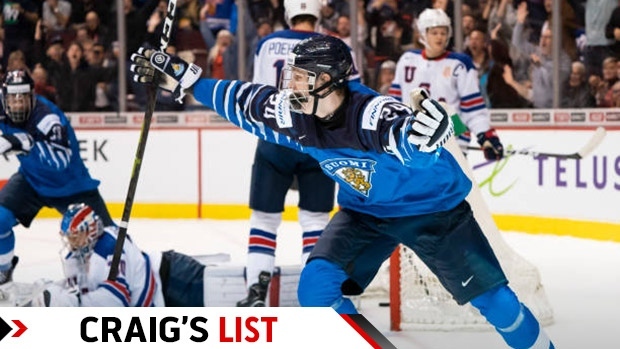 Finnish winger Kaapo Kakko got the better of Jack Hughes in the gold-medal game at the World Junior Championship, but he still remains behind the American centre in the January edition of Craig’s List ahead of the 2019 NHL Draft. Kakko put his name in the World Junior history books by scoring the winning goal for Finland Saturday night in the gold-medal game against the U.S. While Kakko had a strong tournament, I still don’t see a better player available in this draft than Hughes, who was limited by injury at the World Juniors but has been outstanding with the U.S. National Development U18 Team this season. Instead, Kakko is in a race with Russian right wing Vasili Podkolzin (No. 3) and Lethbridge Hurricanes centre Dylan Cozens (No. 4) to establish the second-best prospect in this draft class. 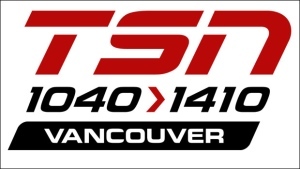 Cozens, the WHL's rookie of the year last season, has been pushing his game to new levels this season. The Whitehorse native has 55 points (23 goals, 32 assists) in 39 games and brings a rare combination of size and skill to the table. Our top five is rounded out by Swedish defenceman Philip Broberg, still the highest blueline prospect on our board. Broberg, who replaced injured Maple Leafs prospect Timothy Liljegren on Sweden’s World Junior roster, is an elite-skating defenceman who is playing for Sweden's AIK this season. USNTDP centre Trevor Zegras is up three spots to No. 6 this month as his raw skill continues to shine through. The Boston University commit is a skilled playmaker and excellent skater with a lot of runway for development. Zegras’ USTDP teammate Matthew Boldy, a left wing, holds steady at No. 7 this month, while Saskatoon Blades centre Kirby Dach, who has 46 points (16 goals, 30 assists) in 39 games, is at No. 8. The top 10 is completed by Arthur Kaliyev (No. 9), a winger for the Hamilton Bulldogs of the Ontario Hockey League who has 31 goals in 40 games this season, and Vancouver Giants defenceman Bowen Byram (No. 10). One name just outside of the top 20 to watch is Prince Albert Raiders right winger Brett Leason, who lands at No. 21 this month after sitting at No. 32 in December. Leason, who was passed over in the last two drafts, had five points in five games for Canada at the World Juniors and has 66 points (28 goals, 38 assists) in 33 WHL games this season. His style of play reminds me of Ottawa Senators star Mark Stone, who was also a late-bloomer.